Master Sergeant Raul “Roy” Perez Benavidez was shot several times, suffered two grenade blasts, and got bayonetted while saving the lives of eight men. 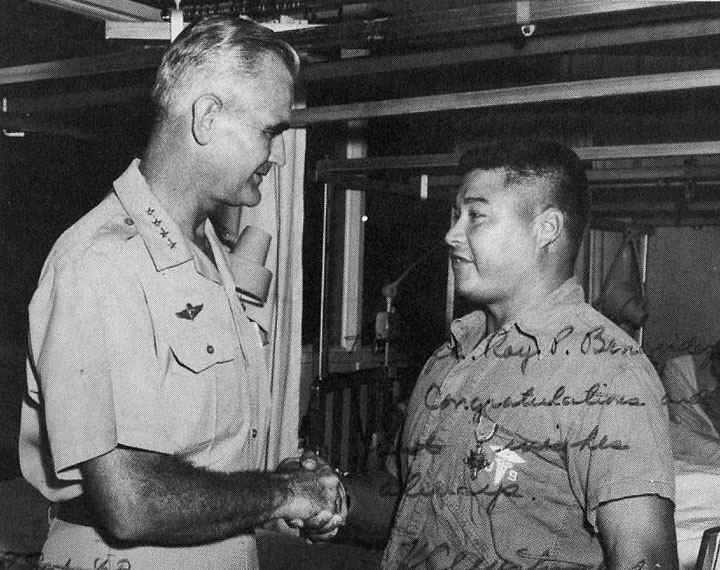 Despite this, it took him over a decade to get a Medal of Honor – and all because of bureaucratic red tape. Born to a Mexican-American and a Yaqui Indian, orphaned at a young age, and having to drop out of school at 15 so he could work to eat, Benavidez didn’t exactly have a charmed life. So in 1952, he enlisted with the Texas National Guard at the age of 17. By 1965, Benavidez was an advisor to an infantry regiment of the Army of the Republic of Vietnam (ARVN), which was how he stepped on a landmine. They sent him back to the US, but the diagnosis wasn’t correct. Doctors at Fort Sam Houston swore he’d never walk again, so they prepared to discharge him from the military. But how was a crippled minority, who was also a high-school dropout, going to support himself and his wife? So Benavidez did the only thing he could. At night, when the doctors and nurses left, he tried to wiggle his toes till he felt them again. Then he would use his elbows and chin to crawl toward the wall next to his bed. Then he’d try to get off the bed by himself. It happened on 2 May 1968. 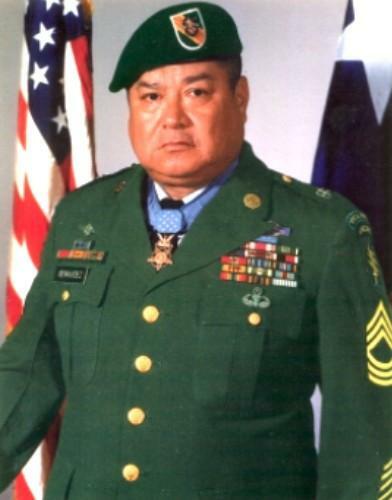 Benavidez was at Loc Ninh in a Green Beret outpost near the Cambodian border, attending a prayer service. At 1:30 PM, a panicked voice shrieked out of their communications radio, demanding to be rescued. It came from a 12-man team that was on patrol. There was Sergeant First Class Leroy Wright, Staff Sergeant Lloyd “Frenchie” Mousseau, Specialist Four Brian O’Connor, and nine Montagnard tribesmen. They had stumbled upon an entire infantry battalion of the Vietnam People’s Army (NVA) of perhaps 1,000 men. Armed with only a knife and his medical bag, Benavidez rushed to a helicopter, leaving his gun behind. From the air, they spotted the team in a tight circle. Some 25 yards away was the enemy surrounding them on all sides. 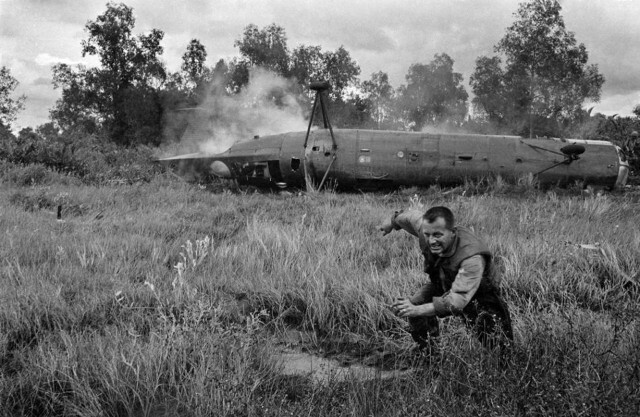 The chopper tried to land, but enemy fire prevented that, so they had to move some 75 yards away. Benavidez jumped out and made his way toward the men, but got hit in his right leg by an AK-slug. He stumbled and fell, but thought he’d only snagged himself on a thorn bush. So he kept running till a grenade blast slammed him to the ground, peppering his face with shrapnel. Incredibly, he got up again and staggered his way toward the circle of men that had split up into two groups. Four were dead, so he got an AK off of one and redistributed their ammo among the rest. Ignoring enemy fire, he bound what wounds he could and injected morphine into those who were screaming the loudest. Picking up his radio, he directed air strikes into the enemy, then directed another chopper toward his group. He was still asking for more air support when a second bullet got him in the right thigh. The chopper landed, allowing Benavidez to drag the dead and wounded into it. But the enemy kept up their barrage, so he waved the chopper toward the second group as he tried to provide cover fire from the ground.